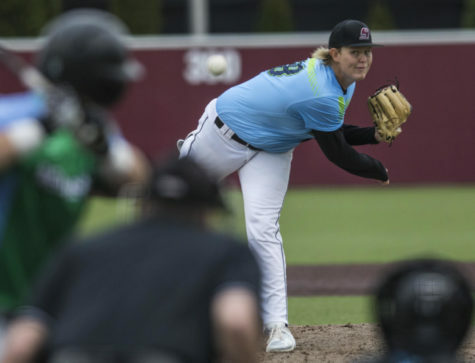 SIU baseball hosted a doubleheader on Saturday afternoon to close out the three-game series against the Northern Illinois Huskies. 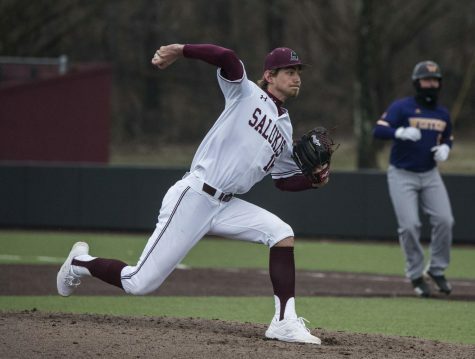 With an explosive offense, the Salukis swept the doubleheader against Northern Illinois (4-10) and completed the series sweep with scores of 10-4 and 7-2. After what appeared to be a pitcher’s duel, Southern was able to finally break through and put runs on the board in the fifth. When sophomore catcher Mitch Fairfield was hit by a pitch, junior second baseman Nikola Vasic followed with an infield single followed by another hit-by-pitch of senior shortstop Connor Kopach. 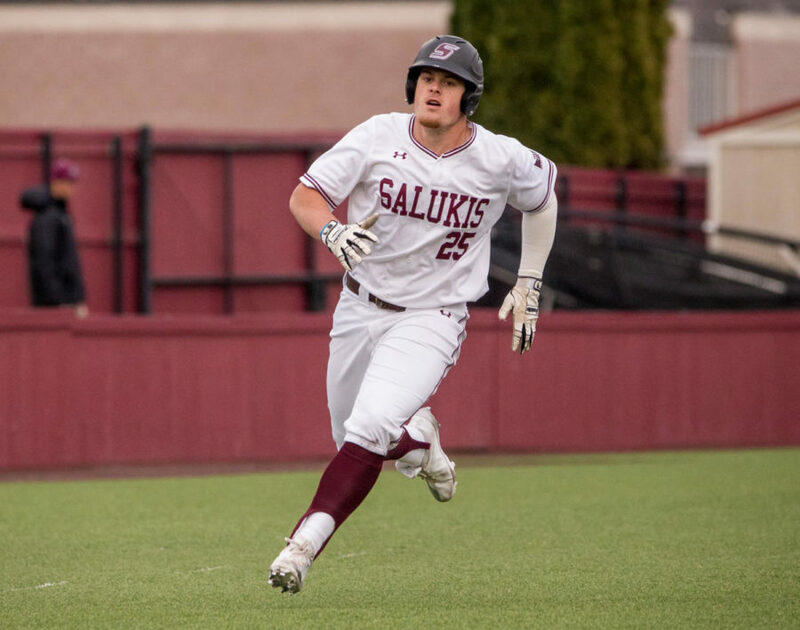 Then, senior first baseman Logan Blackfan took advantage of his golden opportunity to break the tie with a two-run single past the NIU first baseman. The Salukis were able to bring in one more before they were retired in the inning as junior left fielder Alex Lyon scored Kopach on an infield single. 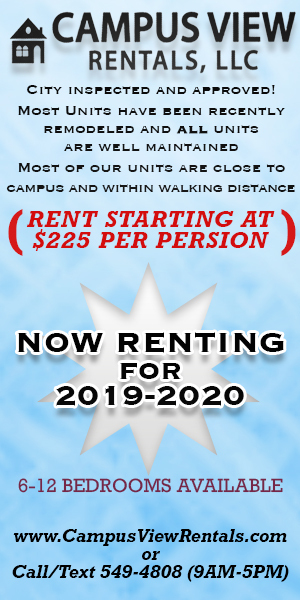 The Huskies responded immediately in the sixth with a stand-up double followed up by a two-run home run to deep right by freshman left fielder Kam Smith, the first home run hit in Itchy Jones Stadium in the 2018 season. Down by one in the eighth, Northern Illinois put two runners on with a single and a walk, who then advanced on a wild pitch. Smith scored two more on a single and put the Huskies up 4-3. 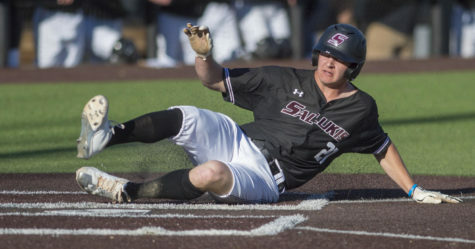 In the bottom of the frame, Southern rallied as Kopach reached on by a single up the middle followed by Blackfan’s fifth homer of the season that reclaimed the lead for the Salukis. Southern rallied for five more runs in the eighth, including a three-run triple from sophomore center fielder Addison Fugitt for a 10-4 lead. 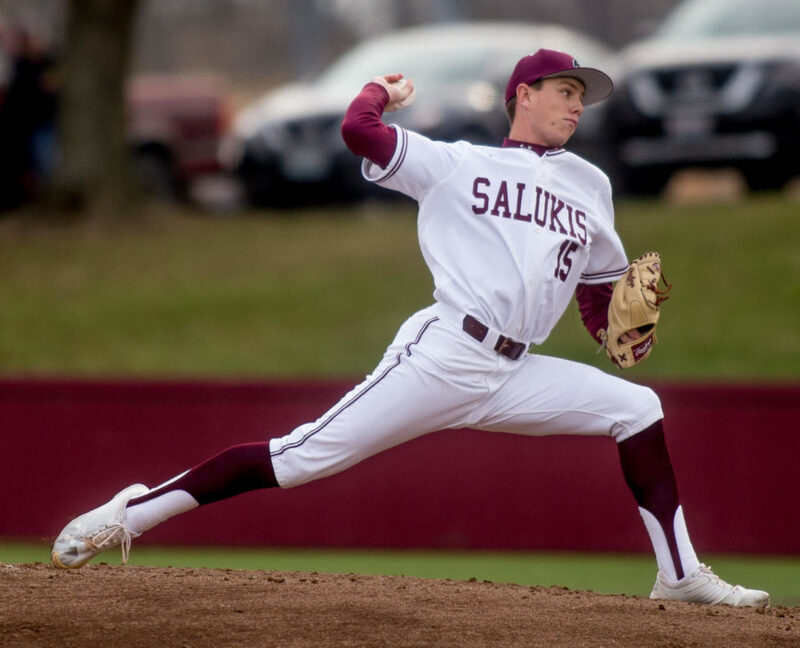 Senior closer Ryan Netemeyer finished out the game for the Salukis with a couple of strikeouts that sealed the six-run victory. Freshman reliever Trey McDaniel (1-1) got the win with two innings of work. He surrendered two runs off of two hits with one walk and one strikeout. Unlike the previous two games, the Huskies struck first beginning when a runner reached on a fielding error followed by a walk. After it eventually loaded the bases, Northern Illinois brought in the first run of the game with a sacrifice to fly to right field. 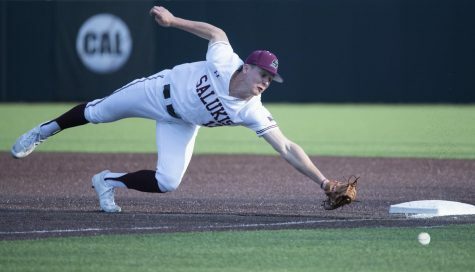 In what could have been a double off the right field wall, SIU sophomore right fielder Jared Kengott made an acrobatic catch that prevented any more runs from crossing and ended the inning. After two scoreless frames, Freshman third baseman J.T. Weber kicked things off for the Salukis in the third with single to left field and proceeded to steal second. Kopach and Blackfan followed with back-to-back walks that loaded the bases, which were then cleared by a double off the left-center wall by Lyon for a 3-1 lead. 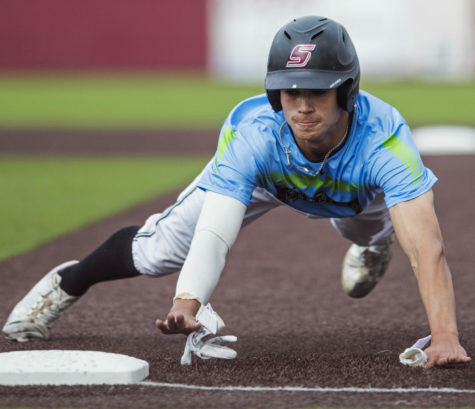 In the fourth, after Southern once again loaded the bases, Fugitt drove in Kengott on a fielder’s choice while runners advanced to second and third. Then, Kopach walked to load up the bases once more followed by an RBI-walk from Blackfan. A wild pitch followed and allowed another Saluki to cross the plate. Up 6-1 in the sixth, Kopach doubled and advanced to third on the ensuing throw. Blackfan followed up with a sacrifice fly that brought in the shortstop and stretched the lead to 7-1. The Huskies put up one more run in the eighth, but it was not enough as the Salukis took the 7-2 win. 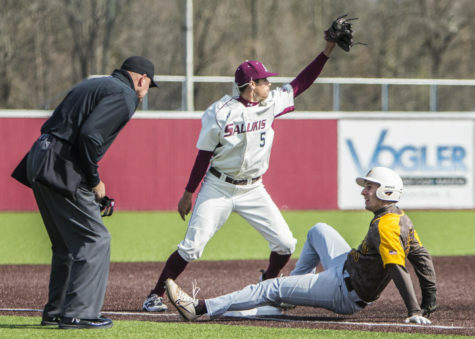 The victory sealed the sweep of the series and extended SIU’s win streak to five. Junior starting pitcher Mason Hiser (1-2) picked up his first win of the season. 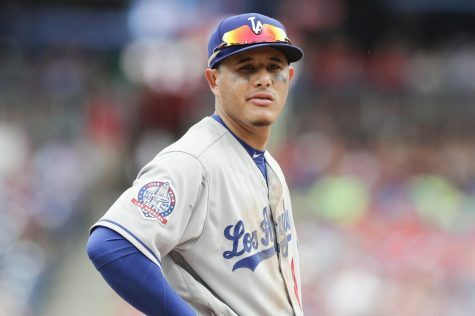 He gave up no earned runs with four hits and two walks with a single strikeout. 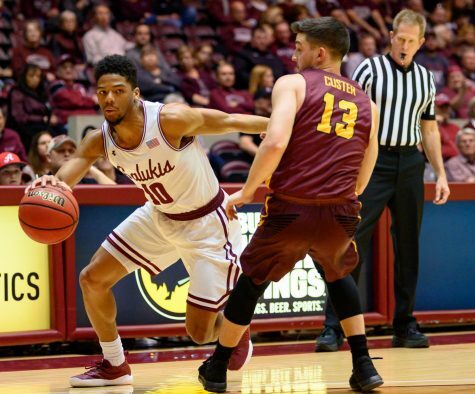 SIU (8-8) will travel to Jonesboro, Arkansas on Tuesday to take on Arkansas State. 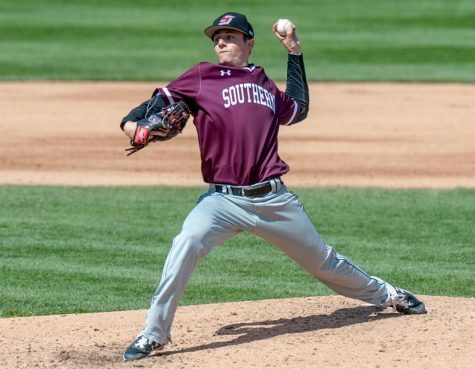 First pitch is scheduled for 6 p.m. Sophomore pitcher Brad Harrison (2-0) will get the start for the Salukis. Sports reporter Dillon Gilliland can be reached at [email protected] or on Twitter at @DillonGilliland.